Ageing Populations, Japan’s Recession and Our CPF Savings. Kenneth, just checking your opinion on this. Japan’s economy is doing badly, and this is partly due to their aging population and low birth rate. do u think that if the Sg government did not do anything do bring foreigners here, that we would end up like japan? Falling birth rates with an economy in recession? And also, in your opinion, how can Japan get out of this mess that they are in? I decided replying on Facebook would be too long so decided to make it the subject of a blog. Are Japan’s problems due to their ageing population and low birth rate? No not really. Japan’s immediate problem is deflation where prices are falling and the real value of debt increases. Interest rates cannot fall below zero so as prices decline, the real interest rate rises and the cost of servicing that debt rises. This leads people to consume less and firms to invest less while trying to save more to meet the higher cost of servicing the debt. Lower consumption and investment leads firms to cut prices and try to cut wages. This quickly becomes a vicious spiral. Japan may have a future problem with an aging population and low birth rate but technological advances in robotics and software will lead to accelerating productivity growth that will offset this. Advances in medicine will lead to an increase in lifespans and the quality of life. This will increase the number of years people can work and be economically productive, probably quite substantially. How did Japan get into this situation in the first place? Japan got to this point because it relied too much on net exports and investment, rather than domestic demand, to drive growth. Its corporations hugely over-invested in a narrow range of industries, induced by subsidies and non-tariff barriers. Demand for the country’s products stagnated and as China and the rest of Asia opened up to foreign investment Japanese corporations either transferred production to Asia or were forced out of business. The persistent current account surpluses pushed the yen up despite attempts by successive governments to manipulate the exchange rate. Japan fell into a deflationary spiral as faced with the loss of competitiveness and a lack of demand at home, domestic manufacturers cut prices and wages. While there were endless stimulus packages during the 1990s and 2000s, with a vast number of infamous pork-barrel infrastructure projects, none of the stimulus packages was sufficiently large to reverse falling prices once deflation had set in. Moreover they were often accompanied by taxation increases which largely negated the effects of the additional spending. Saddled with overcapacity, the corporate sector failed to invest and the Government failed to mop up the excess savings. Ultimately it only succeeded in increasing the debt to GDP ratio. What is the solution to Japan’s problems? Japan needs to break the deflationary spiral and push the inflation rate up to erode the real value of debt. This has to be done through a combination of monetary and fiscal policy. In what has come to be known as Abenomics, the Japanese PM, Shinzo Abe, has leaned on the Bank of Japan to undertake a massive easing of monetary policy and expansion of the money supply. This is several times larger as a proportion of GDP than the monetary easing in the US by the Federal Reserve after the financial crisis of 2008. However, monetary policy easing has not been accompanied by any easing of fiscal policy. This has in fact been tightened with a rise in the sales tax in April and another rise due by October 2015 (though this may be postponed in light of the poor GDP figures). Without fiscal policy easing Japan’s monetary easing just looks like another in a long line of Japanese attempts to gain a competitive advantage through currency depreciation. The yen has fallen some 45% since its high point in 2012 of around 80 yen to the dollar. While it may bring temporary gains to Japanese exporters other big exporters like China, South Korean and Germany are unlikely to tolerate it for long. In fact all these countries have moved to depreciate their currencies (in Germany’s case the European Central Bank has eased policy to push down the euro) in an attempt to divert some of the US’s demand growth to their own products. This is unlikely to be successful for long and indeed there are already signs that US growth is stalling. The conventional view is that Japan cannot afford to embark on a fiscal easing because its Government debt to GDP ratio is one of the highest in the world. Gross debt is over 230% of GDP though this comes down considerably, to about 134% of GDP, when debt instruments such as securities and loans held by the Japanese Government are included. However, all Japanese Government debt is denominated in yen and Japanese residents hold 90%, so it is difficult to see why the Japanese Government would be unable to repay the debt. Ultimately they could just monetize the debt by printing money or borrowing from the banks. Critics might complain that this would be inflationary but Japan’s economic woes stem from deflation in the first place. A rise in inflation to erode the real value of debt is just what is needed in the first place. How is Singapore like Japan? Singapore is likely to have the same problem as Japan in the future but not because of a falling birth rate. The PAP Government has aggressively moved to boost the economically active segment of the population and counteract the falling birth rate (which they are responsible for) by allowing in so many foreign workers at all levels. At least for the time being we do not face the problem of a large number of retirees supported by a shrinking working population. However this has merely shifted the problem to the future since Singapore’s population cannot continue to grow to infinity. But I have argued above that this is likely to be a non-problem anyway as productivity, lifespans and working lives expand, probably quite dramatically. Singapore’s problem is that like Japan, it relies largely on adding more inputs to create output rather increasing the productivity of these inputs. This was pointed out, by Krugman and others, in the 1990s when comparing the performance of the Asian “tiger” economies, including Singapore. I have often drawn attention in the past to Singapore’s poor productivity growth and that the PAP government has taken the easy route to impress foreigners and grow the economy merely by adding more low-cost workers. Our economic growth is also extremely unbalanced, like Japan’s in the past and China or Germany now. Singapore runs a huge current account surplus of close to 20% of GDP that is much bigger than either Germany’s or China’s, which are often cited as examples of countries adopting selfish economic policies. Consumption is only about 40% of GDP so investment and net exports comprise about 60% of the economy. This cannot continue indefinitely without the rate of return on new investment falling so low as to be unattractive. The PAP Government have tried to stop this happening by opening the floodgates to cheap and easily exploitable foreign labour but we must be reaching the end of the road here despite the Government’s plans for a 7 million population and their barely concealed desire to increase that target to 10 million or more as soon as they think they can get away with it. A major part of the problem with our unbalanced and unsustainable economic growth is that the PAP Government runs a surplus of about 10% of GDP and together with our forced savings in CPF this is recycled into the purchase of foreign financial assets that earn low or negative returns in S$ rather than being spent on consumption . What could send Singapore into a deflationary spiral? Already demand for Singapore’s exports is slowing amid the global economic slowdown and the economy is on the brink of recession. Unemployment is rising particularly among graduates who are forced to take lower-paying jobs. A property slump abroad could quickly translate into falling property prices here. Since inflation is domestically generated and is mainly caused by the rising cost of land and rents a property price slump could quickly lead to a scenario where prices are falling. This could lead to the same kind of deflationary spiral we have seen in Japan and that Europe is on the brink of falling into. You might think that this cannot happen because the PAP Government has a lot of room to cut taxes and spend more because of the huge Government and current account surpluses. However much of the Government surplus is income from foreign financial assets. A slump in asset prices and in foreign currencies could cut the value of this income and leave a shortfall in the amounts necessary to repay CPF account holders. We already suspect that something like this has happened and that the value of our reserves has been eroded due to mismanagement. The Government does nothing to dispel these rumours by its desperate desire to hang on to our CPF savings and prevent withdrawals. The PAP is also so desperate that they have revived the defamation weapon and use of illegal assembly laws just in order to try to silence a group of young people who never looked very threatening to start with. Ultimately though, even if the kind of scenario outlined above unfolds, the PAP Government can allow the S$ to depreciate and print money to pay off CPF holders. 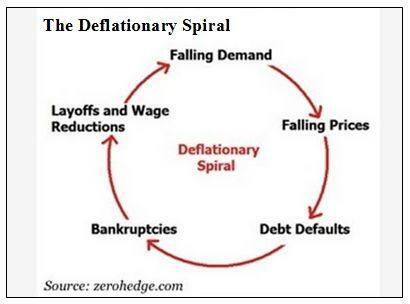 This should prevent us falling into the kind of deflationary spiral that afflicts Japan. However any such action, even if viewed as a lesser evil, would be expropriation from Singaporeans who have not been given any choice in whether they wish to lend money to the PAP Government for overseas speculation. We have been left holding the risk with no share in the rewards. To the PAP leaders and the heads of Temasek and GIC Singapore is just a gigantic hedge fund that owns a valuable asset which unfortunately comes with a liability of three million native inhabitants. By electing them to office with no checks on their power, Singaporeans have granted the PAP a free option. 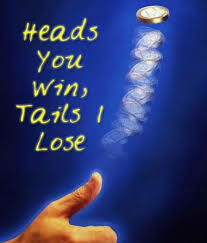 This is why I call it a “Heads They Win, Tails You Lose Scenario”. Ho Kwon Ping’s Self-Serving Proposals Have No Merit. Is there a way to increase domestic consumption, promoting tourism is one way, but we are increasingly become reliance on being a conduit between low cost production bases and markets overseas, how can we compete on manufacturing products with those countries. Are there other ways we can avoid loss of these production jobs? This is a situation that will need fixing, like improvement on production process, investment on technologies and proper training. I think we are taking the easy way by importing talents instead of looking inwards of attracting locals to the fields. Pay is not the only consideration, progression, working conditions and training are also important.